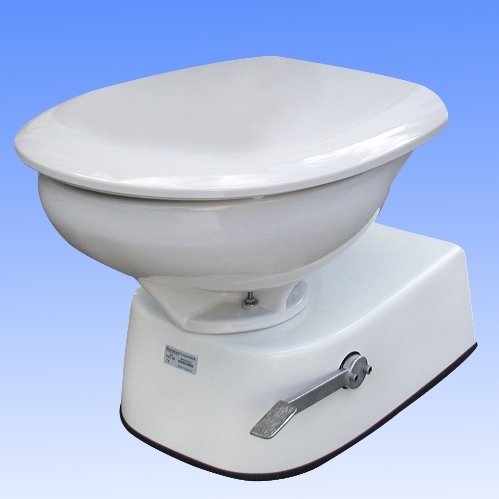 Macerator and centrifugal toilets are the closest in design to a normal household toilet. They can be freestanding and will pump a considerable distance to a remote waste tank. Many of these toilets have eco flush facilities therefore reducing the amount of water used, a boon where water and waste capacity is limited. Both macerator and centrifugal toilets operate in a similar manner, waste is discharged from the bowl and into a chamber containing either a plastic or stainless steel blade which reduces the waste matter to a "slurry" and sends it to the waste tank. The better quality units are quiet and efficient.